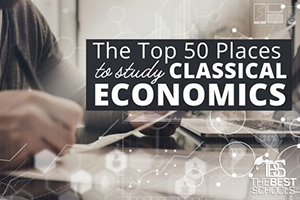 TheBestSchools.org ranked Association for Liberal Thinking among the Top50 institutions to study classical economics. "Turkey is a nation lying in the world’s crossroads. It is both a member of NATO and a Muslim nation. It is both European and Middle Eastern. And, it has been pulled in both progressive and traditionalist directions. Thus, the Association for Liberal Thinking in Turkey is one of the most important think tanks of its kind. The group was created at the end of 1992 by Turkish intellectuals and officially recognized in 1994. In 1997 it began producing its flagship publication, the Liberal Düşünce (Liberal Thought). The association is based out of Ankara, the Turkish capital. The organization has over 200 people working for it, runs numerous conferences, an annual writing contest, and special projects. For instance, in 2004 it ran the “Inter-religious Affairs: Search for a Peaceful Coexistence in a Secular and Democratic System” project which was sponsored by the European Commission. At the time of this article’s writing, the future of Turkey hangs in the balance, with a move away from classical economics becoming increasingly likely. If that is to change, there is no doubt that the Association for Liberal Thinking will be at the forefront of the intellectual movement."